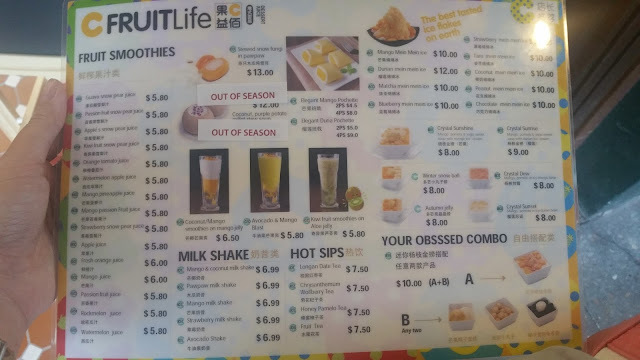 Quite a few of my friends would have heard my frequent rants about the lack of options when it comes to after dinner options that are not of the alcoholic variety. 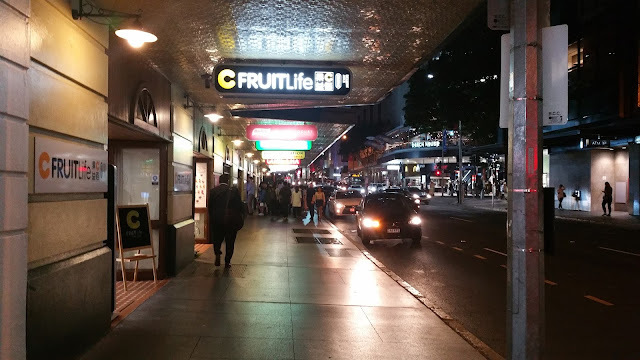 Readers would have remembered that my go to when I travel to Melbourne is Dessert Story (I make sure to go every time I'm down). 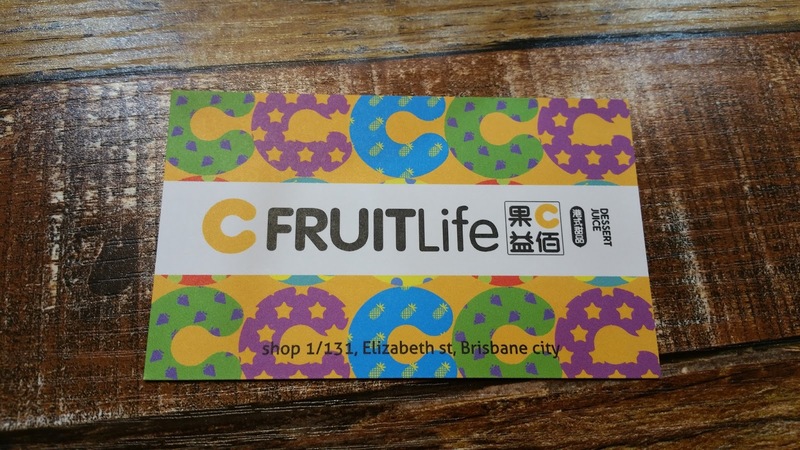 Which is why I was super excited to watch as C Fruit Life go up. 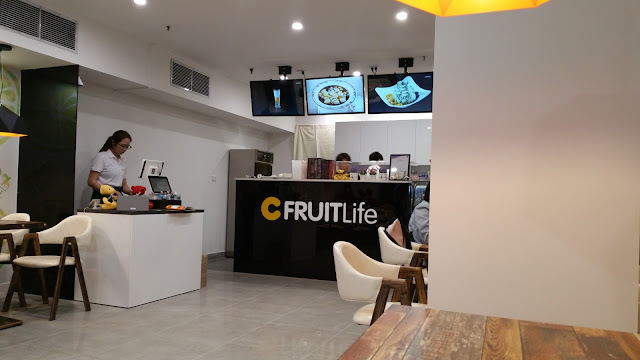 Expecting a juice bar or tea bar at best, it took only a little digging on my part to realise that it was in fact a Hong Kong style dessert cafe, which meant it immediately captured my undivided attention. Thankfully I didn't need to wait long. It was open within several weeks of the sign going up. Inside, the shopfront was quite small, and could probably sit between 20 to 30 people. 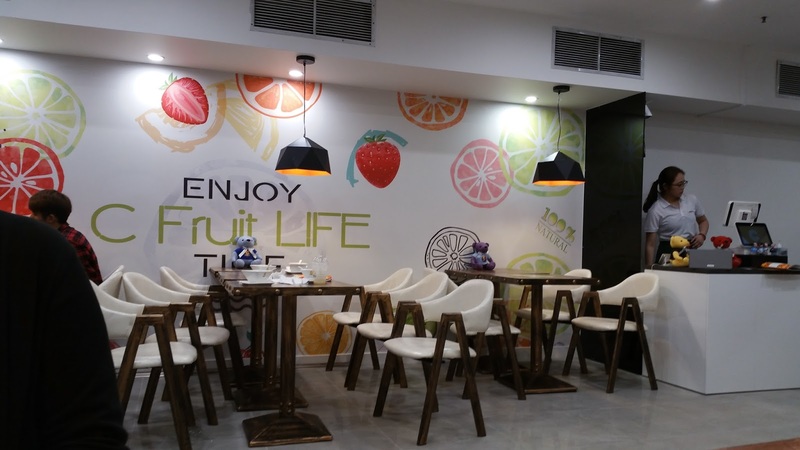 I really liked the bright fruity decor which was really quite cute. 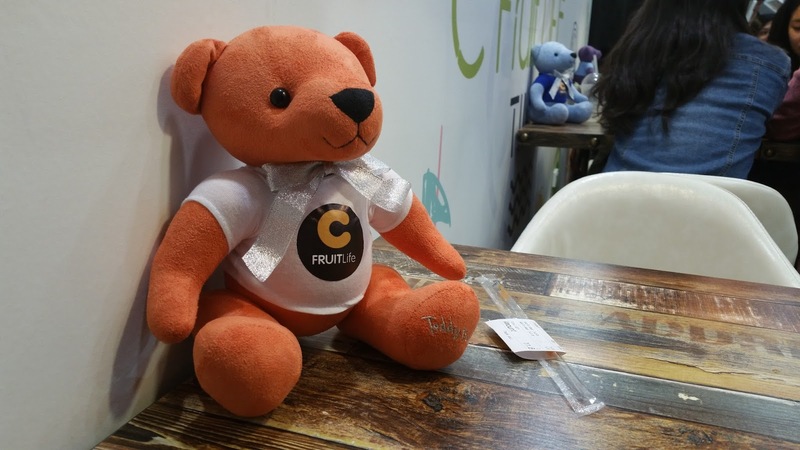 The colourful bears on the table were also a great touch. There were two menus, one was a condensed take away style menu and one was an extended illustrated menu. 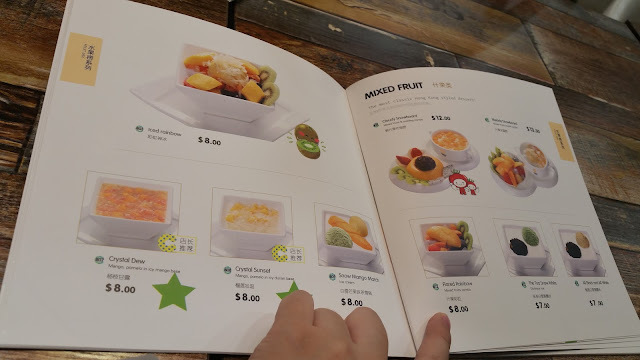 It was a little disappointing though that a few of the options were unavailable (we only found that out when we went to order). Ordering at the counter, we didn't get a number or a buzzer, staff relied on facial recognition to deliver food, which became a little confusing when the store filled up. 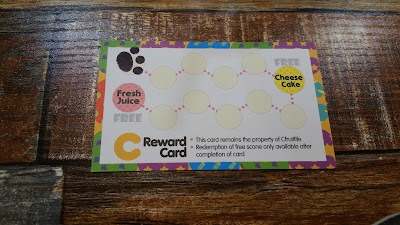 After ordering, I was given a loyalty card. 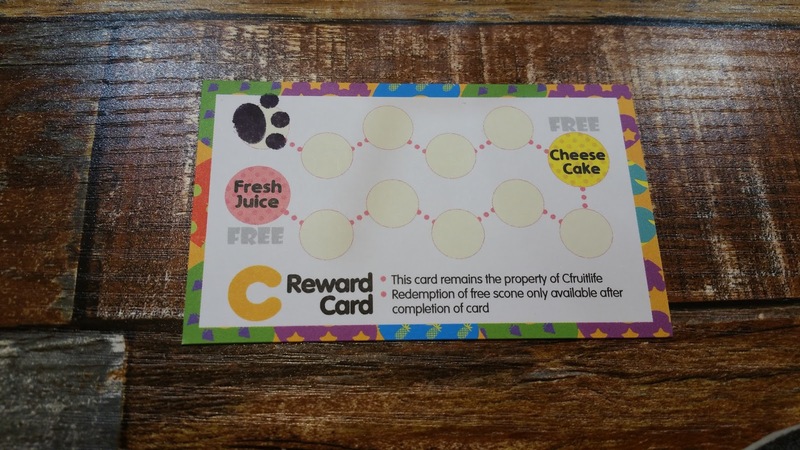 I found it curious that they would have cheesecakes as one of the rewards when it didn't appear on the menu. No doubt I will be able to investigate that further at a later date. 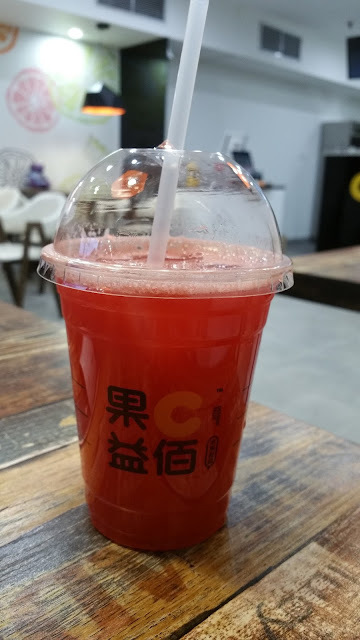 I started with a serve of watermelon juice in medium size. It was fresh and sweet, whilst thankfully not being diluted with copious amounts of ice like other juice bars do. I also appreciated the lack of pulp in the juice, as I do like mine strained. 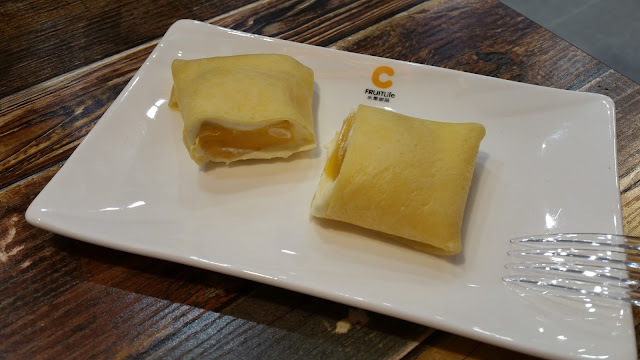 To share, we also had a serve of the mango pochette, which was essentially a folded crepe with mango and cream filling. The crepe was nice and think, with quite a strong egg fragrance, whilst the mango was very ripe and sweet. The cream gave it a much needed balancing effect. 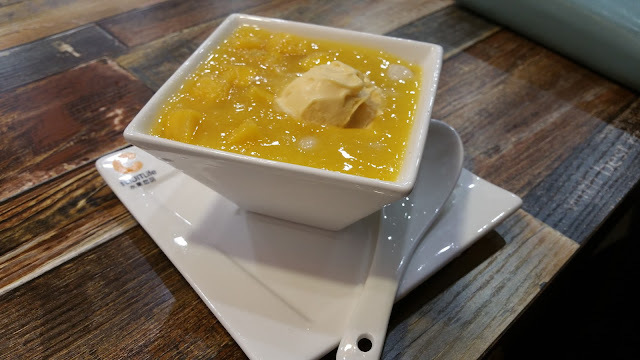 My first companion ordered a mango bowl. 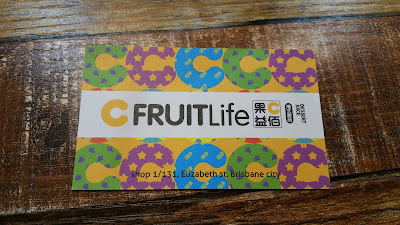 It came with mango pieces and "mini snowballs" (aka miniature rice balls). It was quite strong and a little on the sweeter end of the spectrum. My other companion opted for a much more traditional Hong Kong style dessert, a simmered papaya bowl with lili and lotus seeds. She really enjoyed it, being both nourishing and a healthy alternative. My choice for dessert was a bowl of Coconut Sago, served with a scoop of green tea ice cream and black glutinous rice. 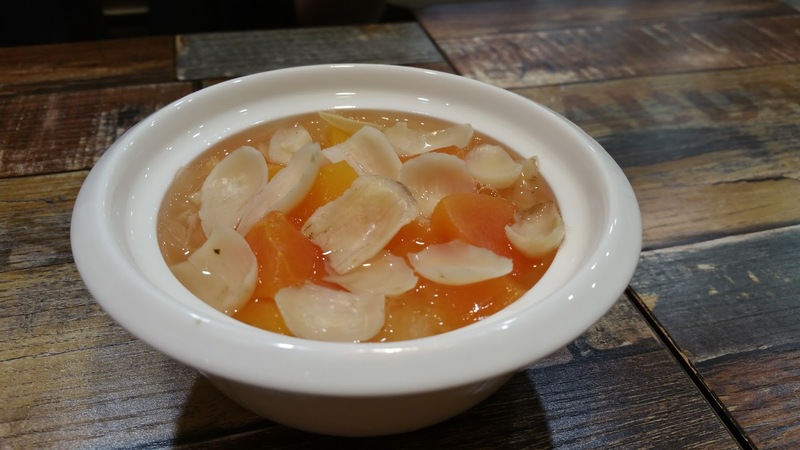 As a big fan of coconut sago, I found this to strike a good balance of creaminess whilst maintaining its freshness. 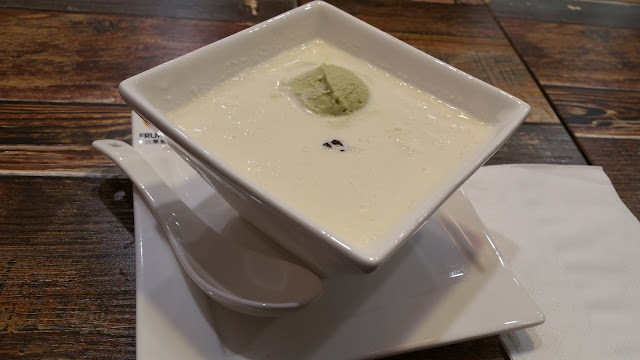 The matcha ice cream wasn't overly sweet, and had a strong tea fragrance, which I liked, but this didn't carry through to the taste which was a bit bland. Both the sago and black glutinous rice was quite tender too. Drinks wise, we also shared a pot of fruit tea. Wanting something to cleanse the palate (all other options were also sweetened), we asked that our pot be served without sweetening. 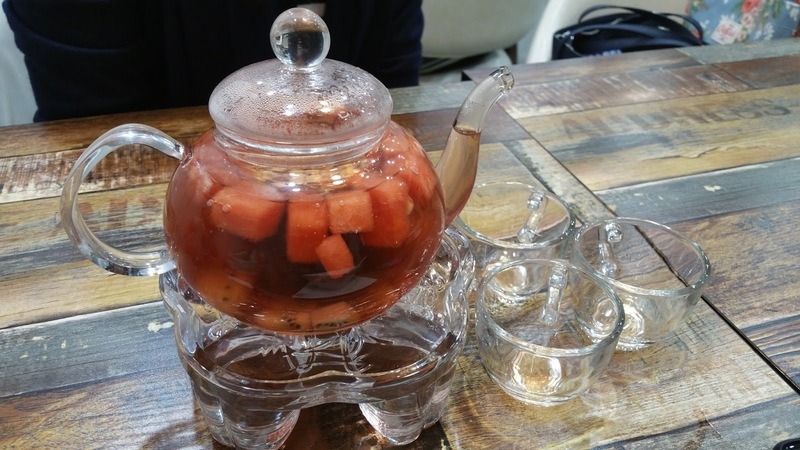 It came as a pot of red tea with chunks of watermelon and kiwi in it. I really enjoyed the fragrance and fruitness of the pot, which cleared all the sugary-ness from other plates that we had, but one of my companions did say she found it a bit more sour than expected.